Did you see that Lib backbencher do his trick with the lump of charcoal and the coke bottle? Talk about terminal stupidity, but then what do you expect from this mob. DENNIS JENSEN, LIBERAL: Does anyone know what that is? Charcoal, also known as carbon. If you notice when I let it go, it doesn’t float into the air. …. All of those little bubbles there, it’s the same stuff that you breathe out. This government has managed to actually tax the air that we breathe. Actually, Chris, Jensen’s point is totally fatuous. The most depressing thing about it is that Jensen seems to think he has said something intelligent, when he quite clearly has not! He’s not alone on his side of politics either. The pros and cons of carbon pricing can be >discussed intelligently, but not by geese who would fail Science for Dummies let alone Climate Change 101. Now consider the trash that passes for argument in the charcoal and coke bottle school of pseudoscience and boneheaded self-satisfaction. See it demolished point by fatuous point at Preventing Misinformation — and a hundred other sites I might have pointed you to. The “skeptics” are contemptible — their trashing of science stands in the way of acting on real problems like this: Mapping Human Vulnerability to Climate Change. These people aren’t true conservatives. That implies a degree of responsibility. They are merely lazy, self-satisfied fools. 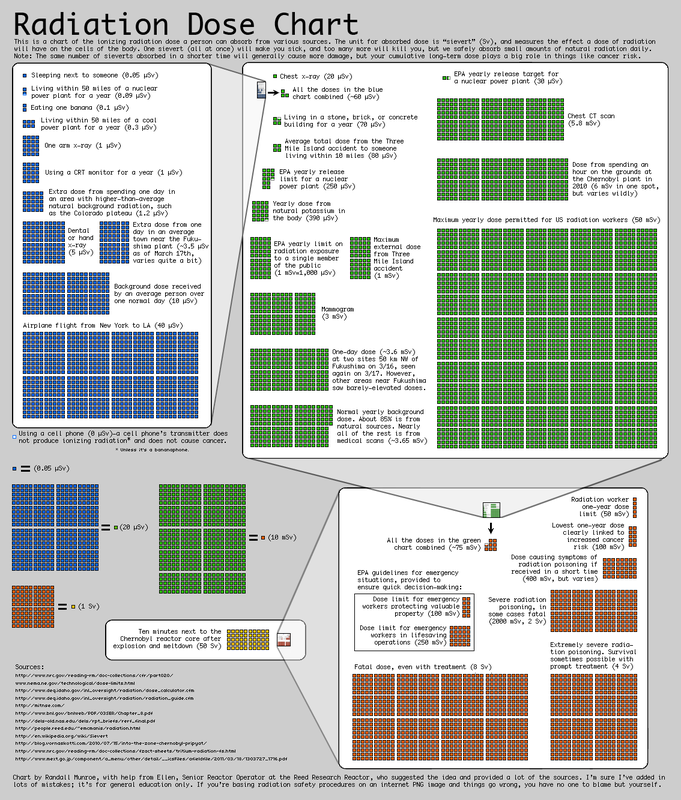 On another environmental issue see Awesome chart puts nuclear radiation in perspective. It really does! This entry was posted in Australia, climate change, conservatism, environment, politics, Tony Abbott. Bookmark the permalink.